To Fit: Saab 9-5 Aero 1998 to 2003, all 2.0 and 2.3 litre models. Fits to the flexi-pipe. Please note the flexi section after the CAT is not included. 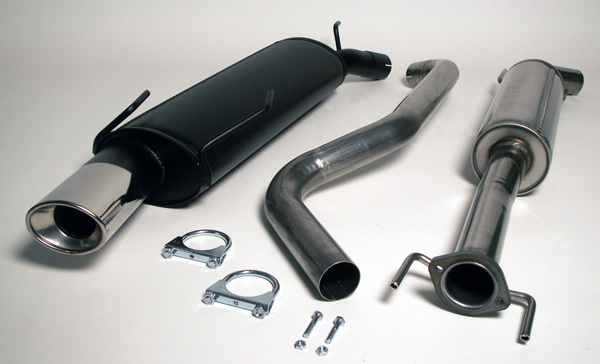 High quality Swedish manufactured Jetex Stainless Steel CAT back exhaust system. Jetex Performance Exhaust systems are manufactured in the same factory to the same specification as the BSR exhaust systems.